One year after legislative efforts to reduce gun violence flamed out in Congress, two gun control groups on Tuesday announced they're merging, in an attempt to revive the debate in Washington and beyond. The new effort is launching with a $50 million commitment from former New York City Mayor Michael Bloomberg and the support of high profile figures from both sides of the aisle. 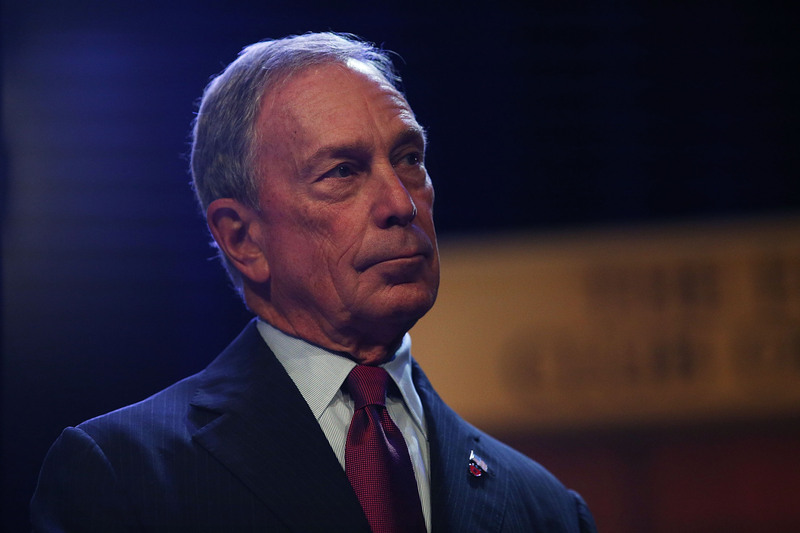 The new group, Everytown for Gun Safety, will combine the efforts of the Bloomberg-backed group Mayors Against Illegal Guns and Moms Demand Action for Gun Sense in America, a grassroots movement founded the day after the 2012 mass shooting in Newtown, Conn. The two groups have been working together since December. The new effort, taking a page out of the playbook of powerful interest groups like the National Rifle Association, will attempt to hold public officials accountable for their stance on gun-related issues and make it a key issue for voters at the ballot box. "This is the beginning of a major new campaign to reduce the gun violence that plagues communities across the country," Bloomberg, chairman of Everytown for Gun Safety, said in a statement. "There is no question that more needs to be done to tackle this deadly problem, and that's why more than 1.5 million Americans, nearly 1000 mayors and moms in all 50 states have already come together to fight for common-sense reform that will respect rights and save lives." Since a bill to expand background checks for gun purchases was filibustered in the Senate last year, there's been little hope of reviving the issue before the midterm elections. Still, Everytown will continue to push for expanded background checks and other federal policy changes such as enhanced protections for the victims of domestic violence. At the same time, the group plans to highlight the issue in state electoral and legislative campaigns. For instance, it's backing a ballot initiative to require universal background checks in Washington state. The group's advocacy arm, Everytown for Gun Safety Action Fund, will "score" state and federal candidates based on their stances on gun-related matters in order to inform voters ahead of elections. The Action Fund is also forming a supporter-funded political action committee. To carry out these efforts, Everytown is employing field staff in more than a dozen states, including Arizona, Colorado, Florida, Indiana, Minnesota, Montana, Nevada, New Hampshire, North Carolina, Ohio, Oregon, Pennsylvania, Texas, Virginia and Washington. It has also recruited high-profile figures from the left and the right to sit on the advisory board, including Austin Police Chief Art Acevedo; investor Warren Buffett; National Urban League president Marc Morial; Tom Ridge, the former Pennsylvania governor and Homeland Security secretary under President George W. Bush; Michael G. Mullen, the former chairman of the Joint Chiefs of Staff under both Mr. Bush and President Obama; and Philadelphia Mayor Michael Nutter. Everytown is holding events across the country on Tuesday to rally support for its efforts, and it released an online video about the dangers of child gun access.